WINNER OF THE WOLFSON PRIZE 2013 HERALD BOOKS OF THE YEAR 2014 The extraordinary story of the Kremlin - from prize-winning author and historian Catherine Merridale Both beautiful and profoundly menacing, the Kremlin has dominated Moscow for many centuries. 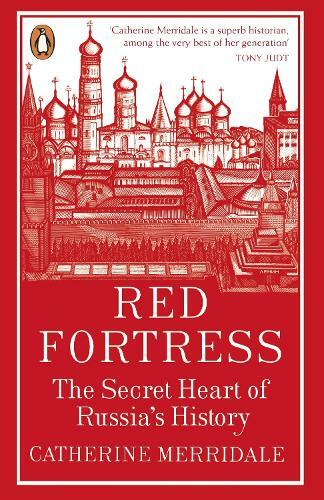 Behind its great red walls and towers many of the most startling events in Russia's history have been acted out. It is both a real place and an imaginative idea; a shorthand for a certain kind of secretive power, but also the heart of a specific Russian authenticity. Catherine Merridale's exceptional book revels in both the drama of the Kremlin and its sheer unexpectedness: an impregnable fortress which has repeatedly been devastated, a symbol of all that is Russian substantially created by Italians. The many inhabitants of the Kremlin have continually reshaped it to accord with shifting ideological needs, with buildings conjured up or demolished to conform with the current ruler's social, spiritual, military or regal priorities. In the process, all have claimed to be the heirs of Russia's great historic destiny.